Convenience stores, or konbini, can be found all across Japan. 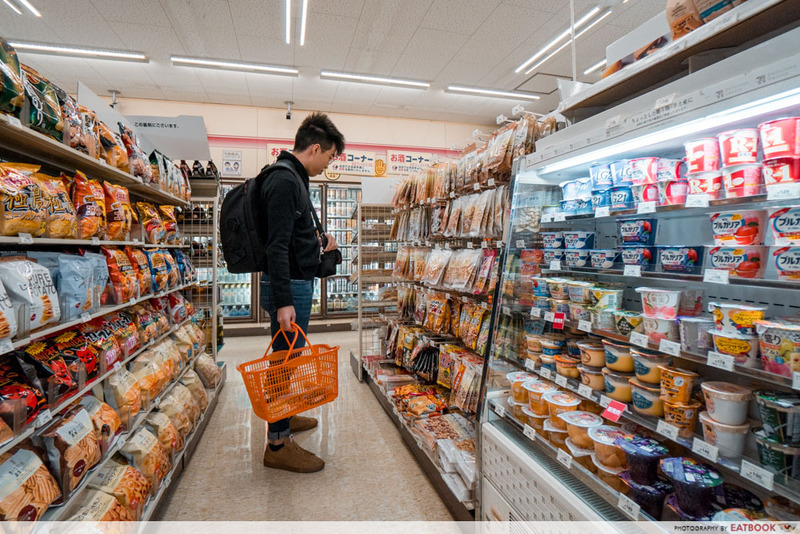 With more than 50,000 outlets spread across a nation renowned for their efficiency and culinary repertoire, there’s just something special about convenience store food in Japan. 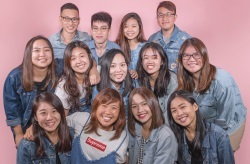 Competition between the major players such as 7-Eleven, Family Mart, and Lawson has resulted in plenty of innovative products and services. 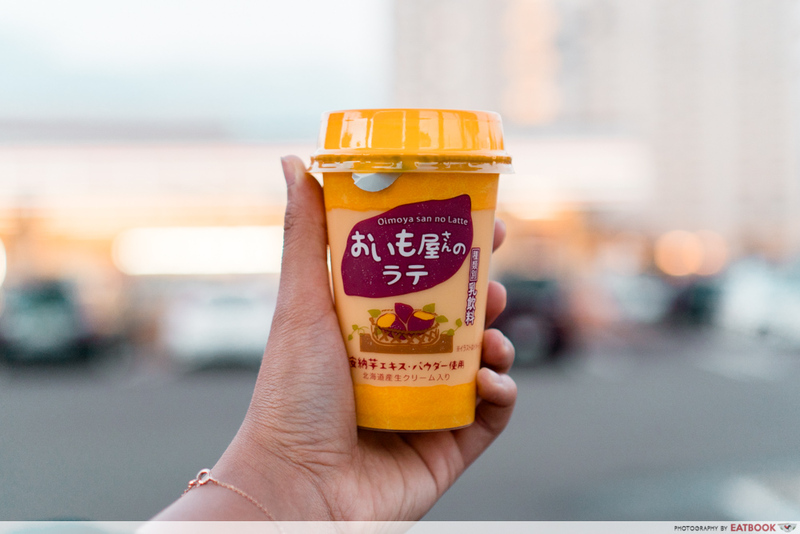 Here are 10 Japan convenience store food that you definitely should try the next time you’re in Japan! 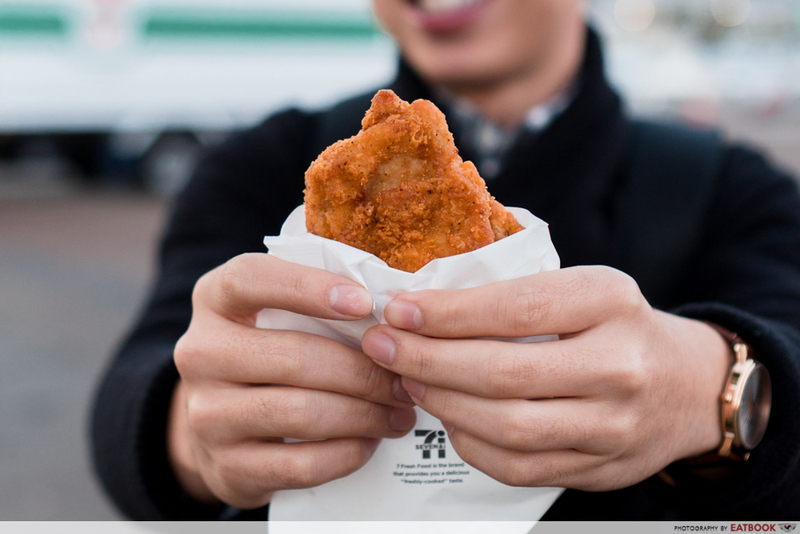 Costing just 198 ¥ (~$2.41), these beauties are cooked on-site and you’ll find them at the hot food section near the counter. Crispy on the outside while remaining juicy and tender on the inside, this is every fried chicken lover’s dream. Each konbini has its own special recipe, but the ones at Lawson’s are known to be the best. Convenience stores in Japan also sell plenty of seasonal items. 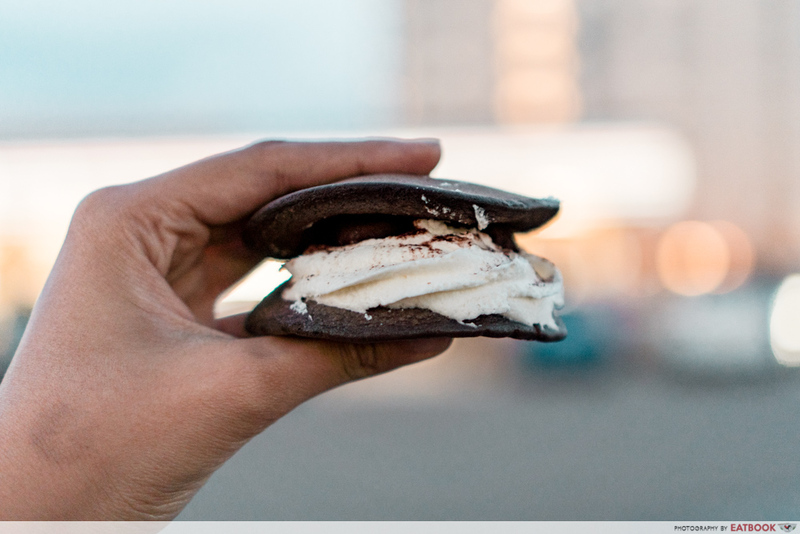 We were there during Halloween and tried the Tiramisu Dorayaki that costs 199 ¥ (~$2.42). A type of Japanese pancake, dorayaki usually consists of red bean paste that is sandwiched by round pancakes. This version uses real cream and comes with an intense dark chocolate mousse in the centre. Soft and pillowy, I munched on these pancakes while muttering a silent prayer that one day our local convenience stores can bring this over. 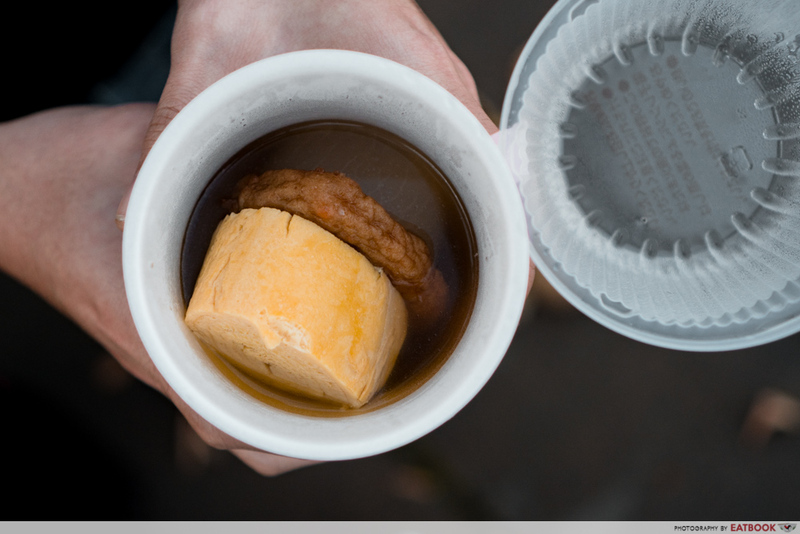 A popular dish during the colder months, keep an eye out for the oden that’s gently simmering near the cash register. 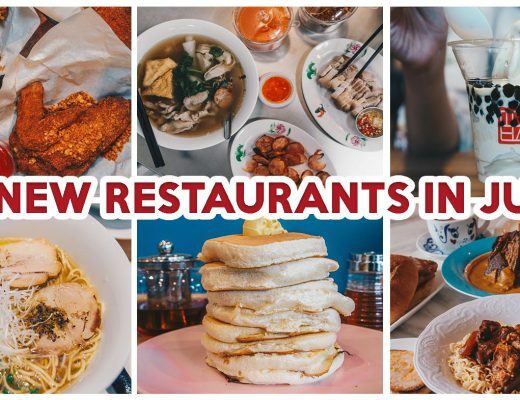 Starting from 70 ¥ (~$0.85), take your pick from a wide variety of dishes such as daikon, fried tofu, fish cakes, and many more. All this is served in a light, soy-flavoured broth that’s an ideal accompaniment for beating the chill. Good food doesn’t have to be expensive in Japan, if you know where to find it. Convenience stores are a great place to look for delicious filling meals, which can be warmed up by the counter. 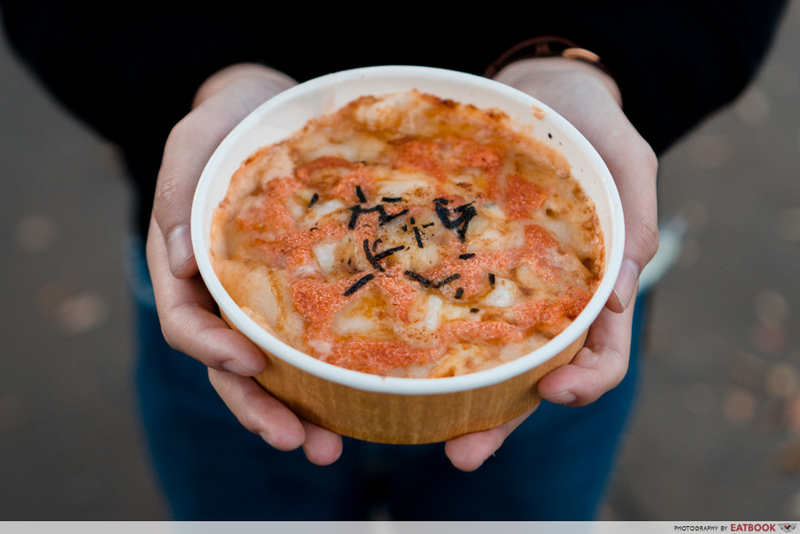 The Mentaiko Pasta (430 ¥, ~$5.24) at 7-Eleven tastes just like the ones you’d find in restaurants, with gooey cheese that is topped with generous servings of mentaiko. You can actually get traditional local desserts from convenience stores in Japan. 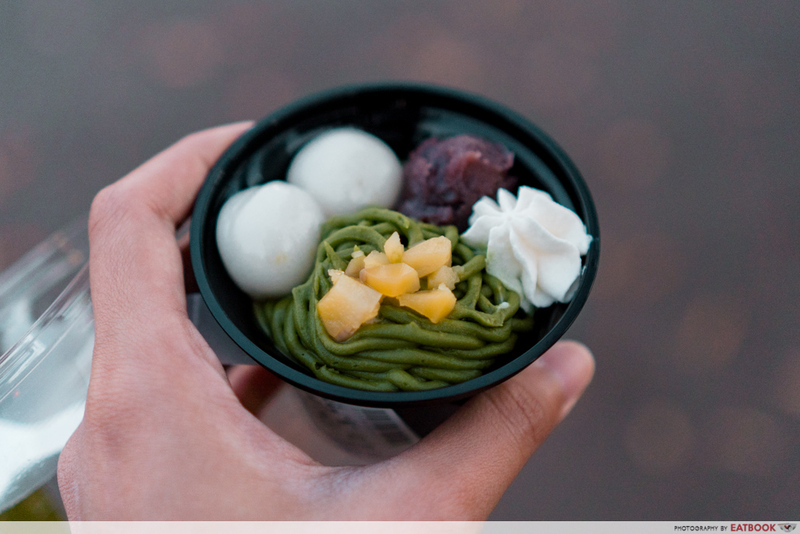 Served with chewy balls of shiratama mochi, chunky red bean paste, whipped cream and matcha paste, the matcha parfait (297 ¥, ~$3.62) looks almost too good to eat. You can see the amazing attitude that the Japanese pay to their food, through the carefully composed presentation of this simple convenience store product. For those looking for a cheaper alternative to fried chicken, there are plenty of affordable options available. Try the croquette which sets you back 138 ¥ (~$1.68). 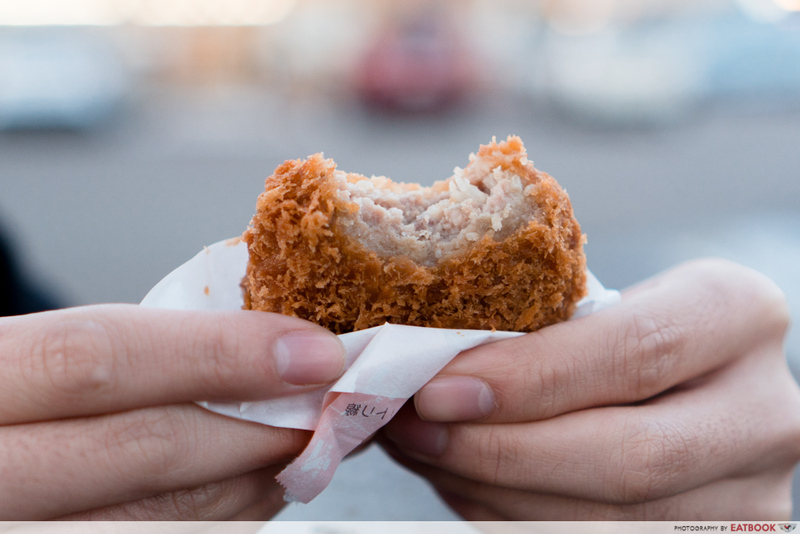 The potato patty is mixed with a choice of vegetables or meat, then coated in panko breadcrumbs. We got ours stuffed with minced meat and loved how juicy the meat was. Steamed buns are popular among Japanese as a quick and light snack. 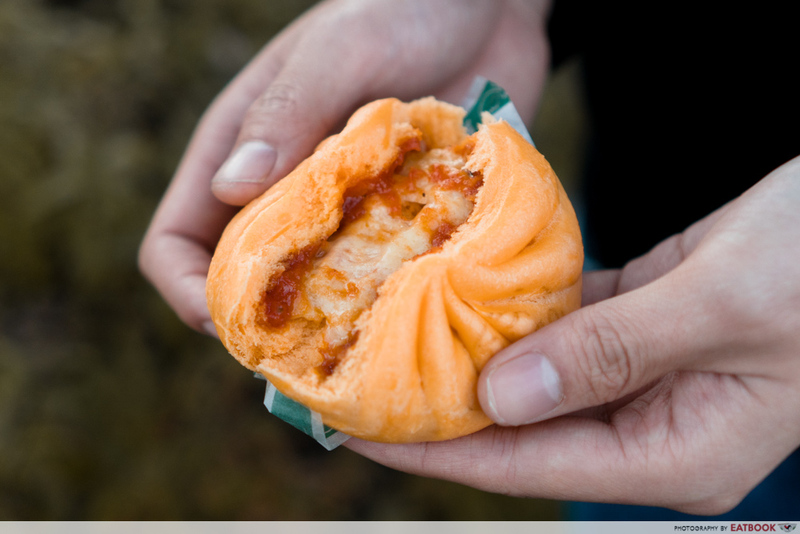 A favourite in recent years, pizza-bun – or pizza-man as the locals call it – comprises cheese, tomato sauce that is wrapped inside a steamed bun. You can find it at all major convenience stores at around 128 ¥ (~$1.56). 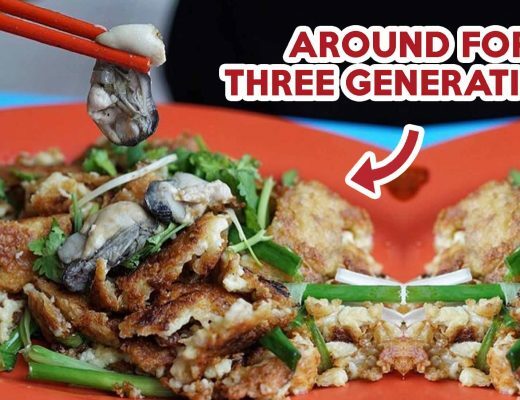 The tomato paste and soft bao texture proved to be quite a weird combination for us, but directly combining two dishes from two totally different cuisines is quite a commendable feat, to say the least. There is also a wide selection of both hot and cold drinks at convenience stores in Japan. Of all the drinks we tried, our favourite was the sweet potato latte that costs 192 ¥ (~$2.34). Tasting a little like teh peng with a hint of buttery and caramel sweetness, this drink has a nice subtle richness to it. It also comes in a cute nice yellow cup that resembles the flesh of sweet potato. 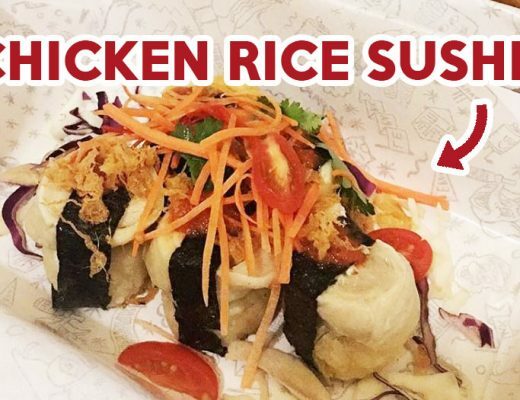 While you’re able to find onigiri or Japanese rice balls in Singapore’s convenience stalls, you probably can’t find omurice onigiri there. With plenty of flavours to choose from, it can be quite daunting to guess which ones are the best to eat. 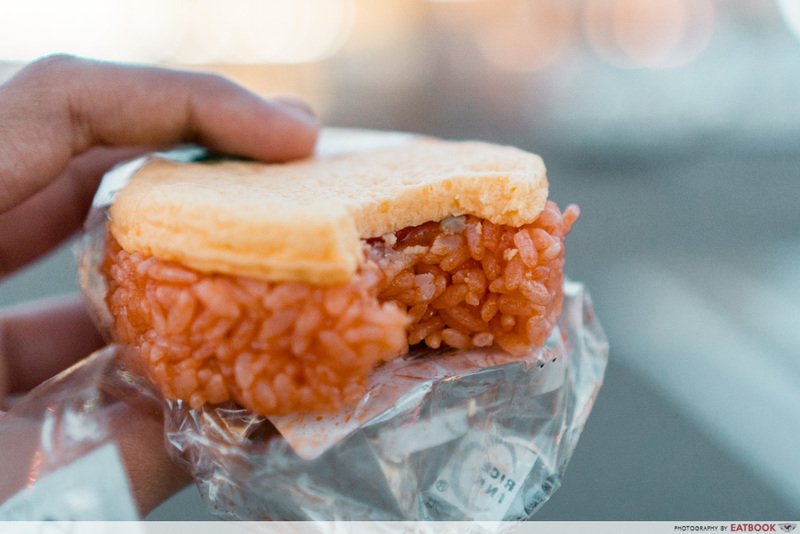 If you’re feeling adventurous, try the omurice onigiri that’s priced around 150 ¥ ($~1.83). The rice is flavoured with ketchup and is accompanied by a creamy egg omelette that goes great with everything. These mini rice balls fill you up quickly, and are a quick and satisfying way to start the day. Comprising two pieces of crustless white bread with a filling spread between them, there are actually close to a hundred of Yamazaki Pan Lunch Pack Sandwich flavours available in Japan. Some are sold regionally or seasonally, and it’s always great fun popping in a convenience store to check out the local flavours available. A pack will set you back a modest 140 ¥ ($~1.71). 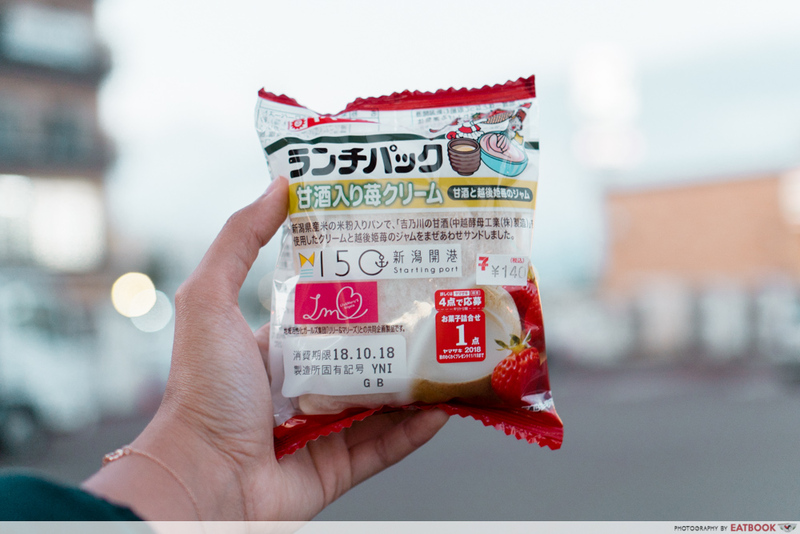 We were in Niigata and had the opportunity to try out the strawberry and coconut flavour. Since the sandwich was packed with cream, we had trouble eating it on the streets as the rich cream was spewing all over our hands. With so much to choose from, it’s easy to get spoilt for choice whenever you’re in a convenience store in Japan. It’s important to note that not all convenience stores are the same, and the grub available depends on each individual city. Keep this list handy with you and let us know what we might have missed out in the comments down below!